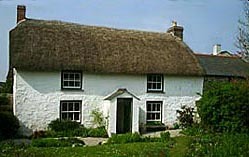 The thatching style in Cornwall follows the South Western tradition, of using combed wheat reed. 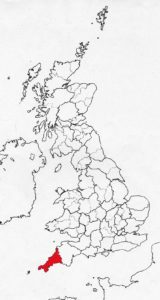 Although rather remote for much of its history and with a strong Celtic heritage; this area had and has only minor differences, in the craft, from the rest of the South Western traditional area. 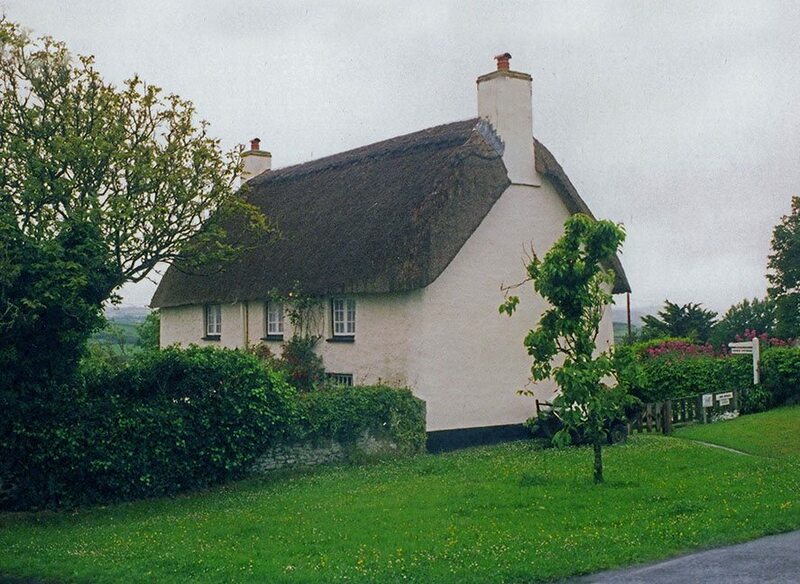 This suggests that the South Western style of thatching predates Cornwall’s cultural isolation. Combed wheat reed seems to have been the material of choice for centuries. Mr Morgan found nothing else being used, on buildings large and small, in his 1815 Agricultural Report on Cornwall. A few years earlier, in 1811, a lease at St. Mellion stipulated that the lessee to had to provide 25 sheaves of reed each weighing 40 lbs…. at 8d. a sheaf . Other leases of this period also mention these 40 pound sheaves, along with ‘spears’ ( thatching spars), used to fix the material. 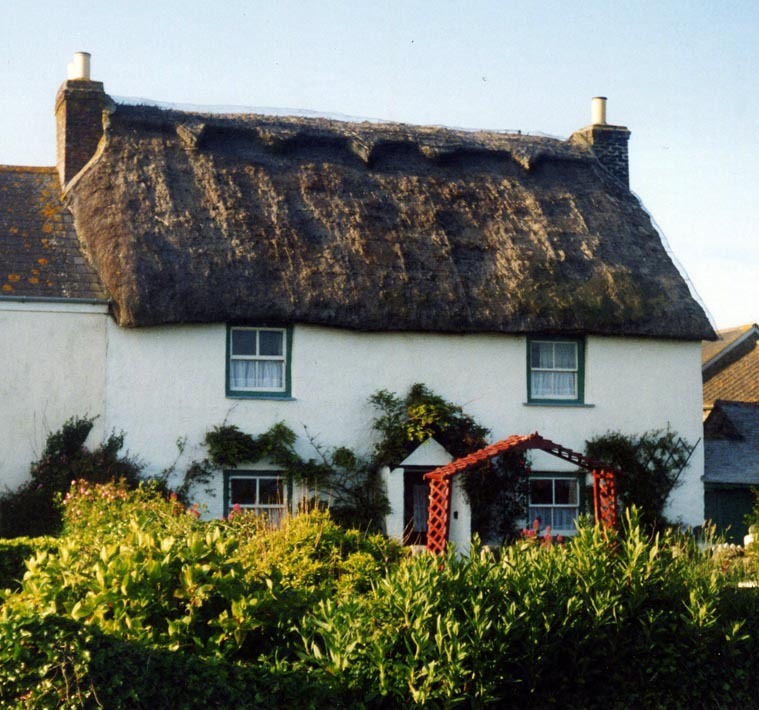 Several thatching terms, used in the Cornish language, were noted in the 1760’s, by William Borlase, Rector of Ludgvan; and by later compilers of Cornish/English dictionaries. 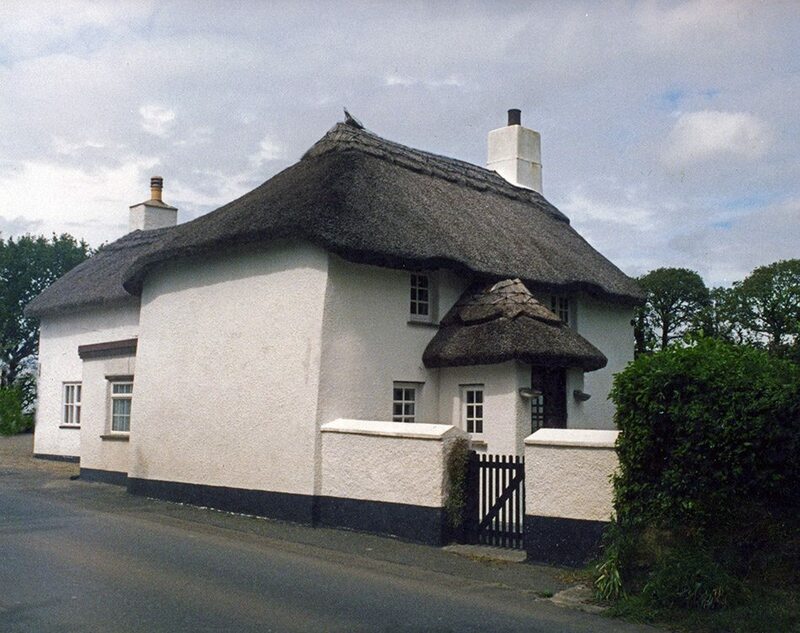 Thatch having two names; Zoul & Teyz; the latter also meaning Roof, suggesting that for a long time they were one and the same… A Thatcher is a Toen, similar to the sister language of Wales. The name, for the directional method of rick thatching was noted as Eage. Like most of the buildings it covers, thatch hereabouts is often finished simply; having a rather rugged look. Gently curved roofs and plain ridges are the norm. 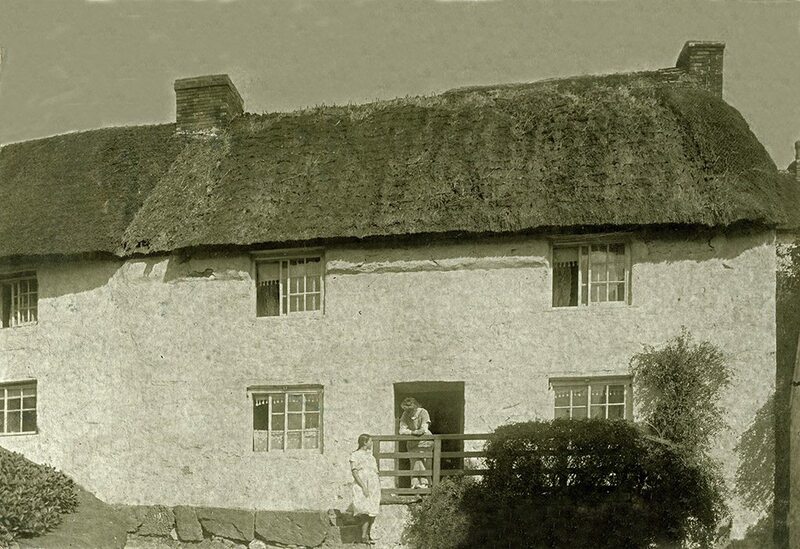 As seen above, old images of West Cornwall show narrow gable ends. Similar to those once found in Brittany and Glamorgan. Such as… The opposite cottages at Church Cove, on the Lizard, which enjoy some splendid sea views. 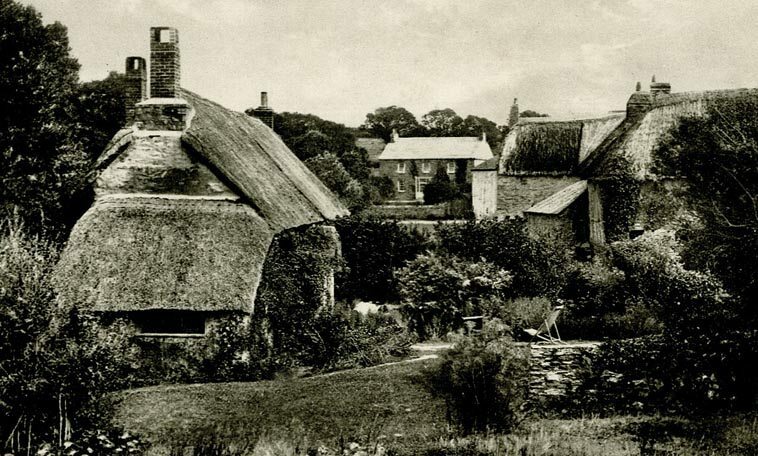 Both cottages thatched in water reed; unlike the thatch, in the three images below. 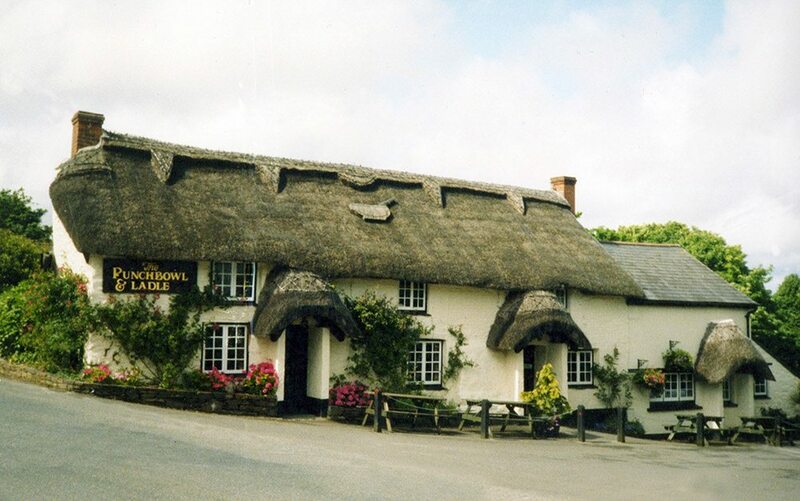 Cornish Pubs… The Anchor at Helston and The Punchbowl and Ladle at Feock. Both sporting their the pub signs, in straw, on the roof. A feature rarely seen outside Cornwall. 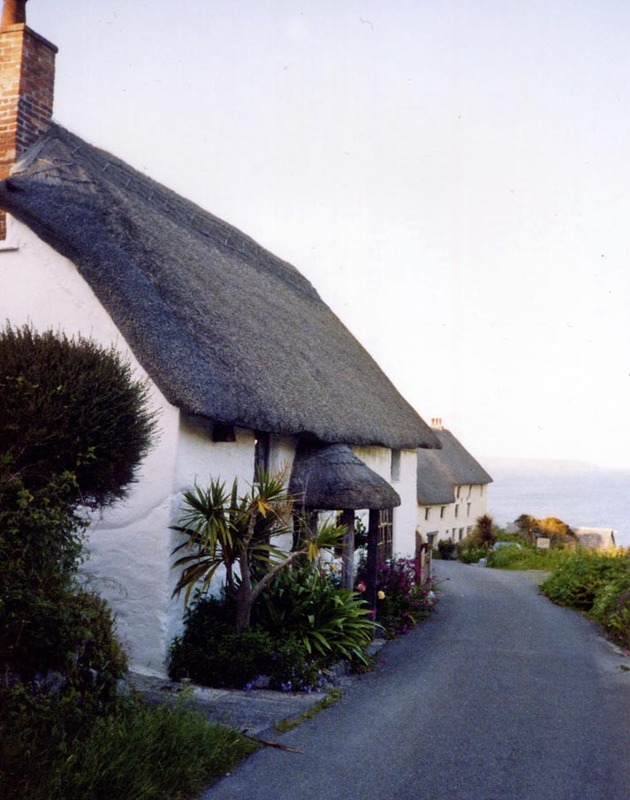 Around St Agnes… And some plain thatching . Both buildings dating from the eighteenth century; and covered in combed wheat reed. 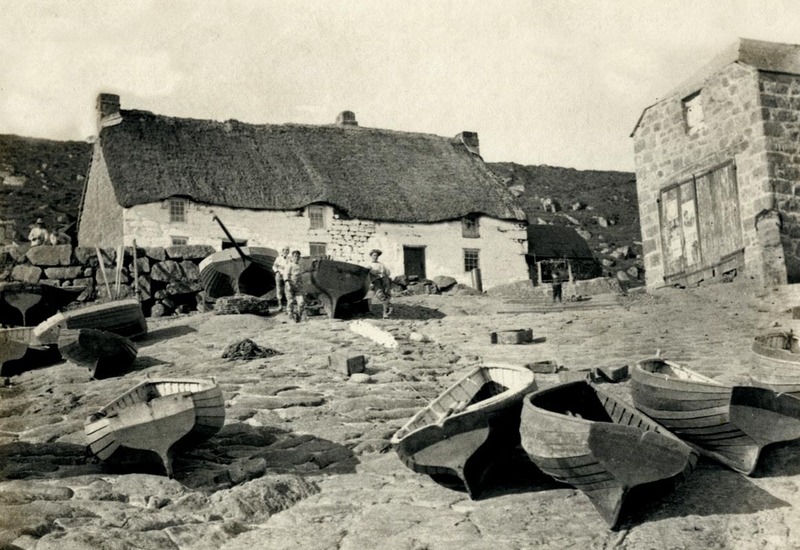 Old and new combed wheat reed… At Crantock, near Newquay around 1920. And near Trewithian, below. 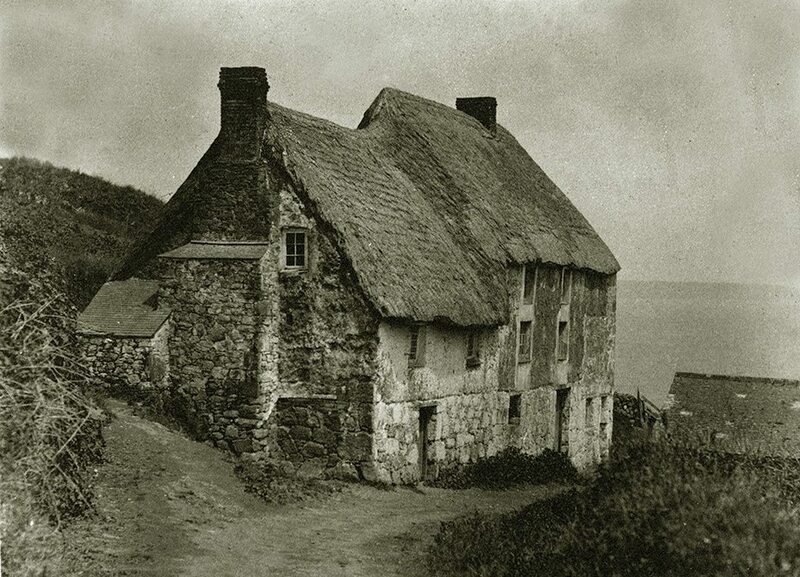 Around Morwenstow a century and more ago… The thatching being plain and simple. The left hand pub has gone, but the right hand cottage remains. This being one of a dozen or so thatches still left in the parish. Many of which are owed by the Landmark Trust. 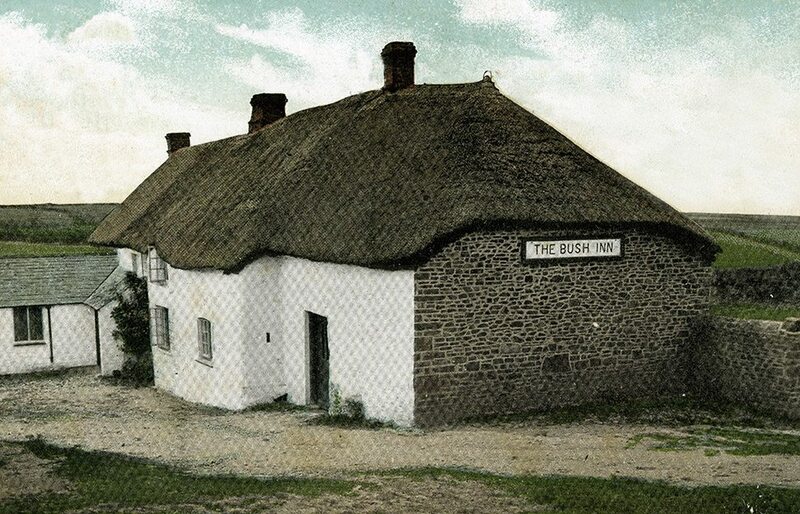 Wayside thatch in North Cornwall… At Marhamchurch, above and at North Petherwin below. 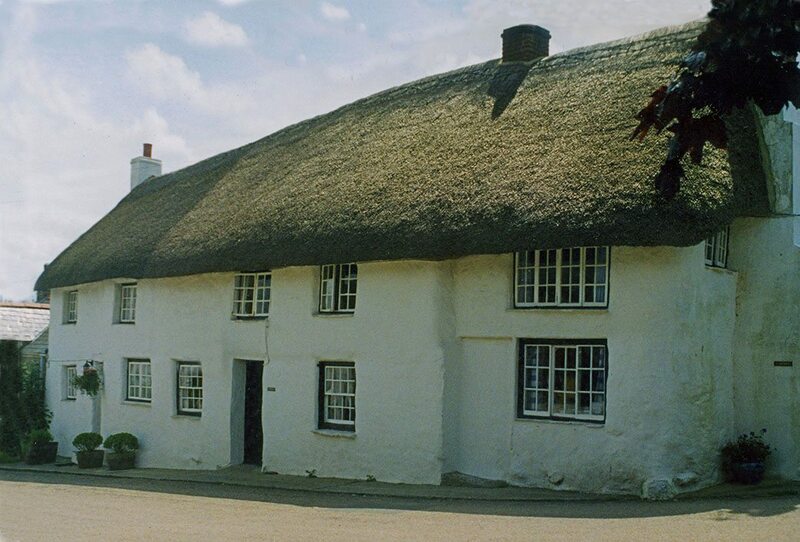 This lower thatch appears a little squarer, due to the eaves not being rounded off. 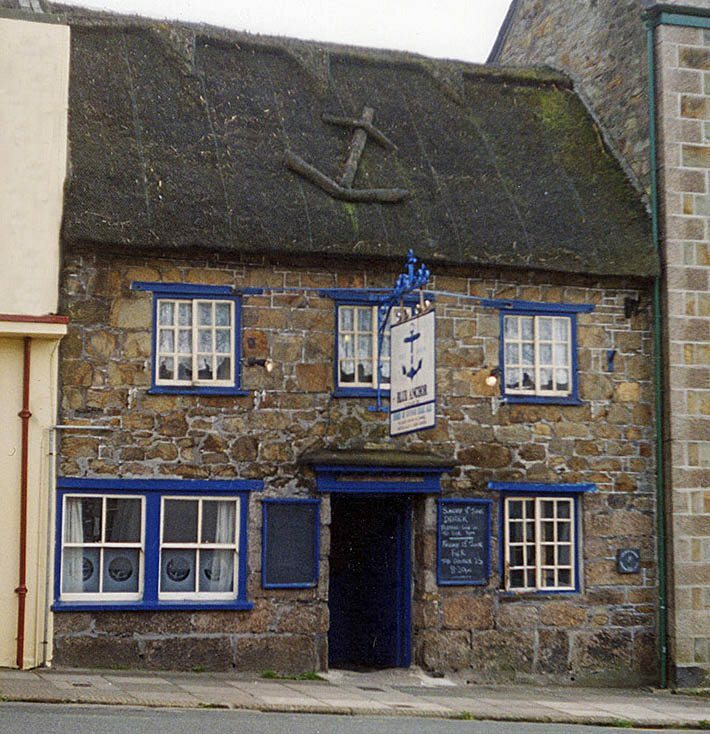 This is also noticeable on the long gone pub at Morwenstow. Odd areas in North Devon also had and have this local feature. 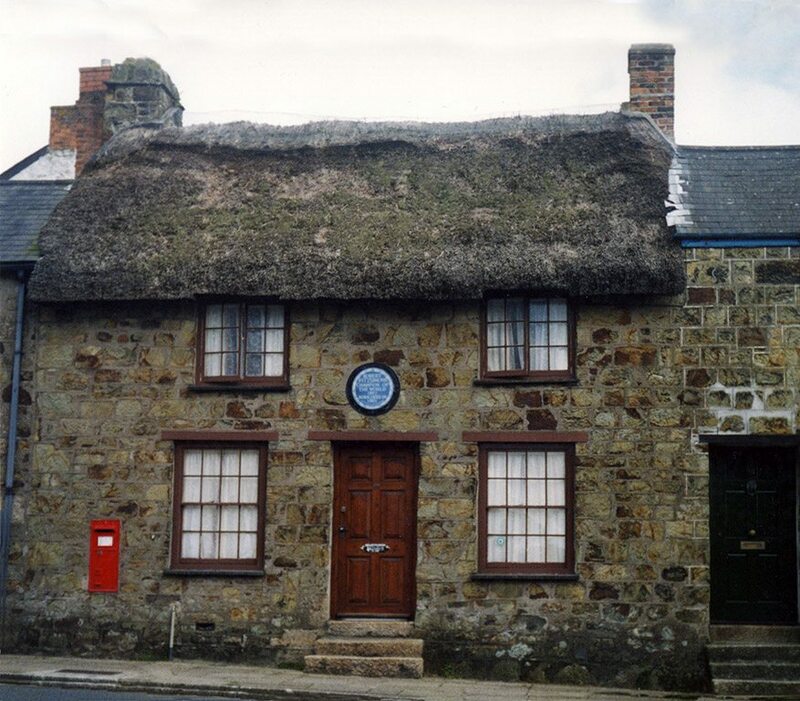 Two of Cornwall’s most famous sons, have extant thatched buildings associated with them. 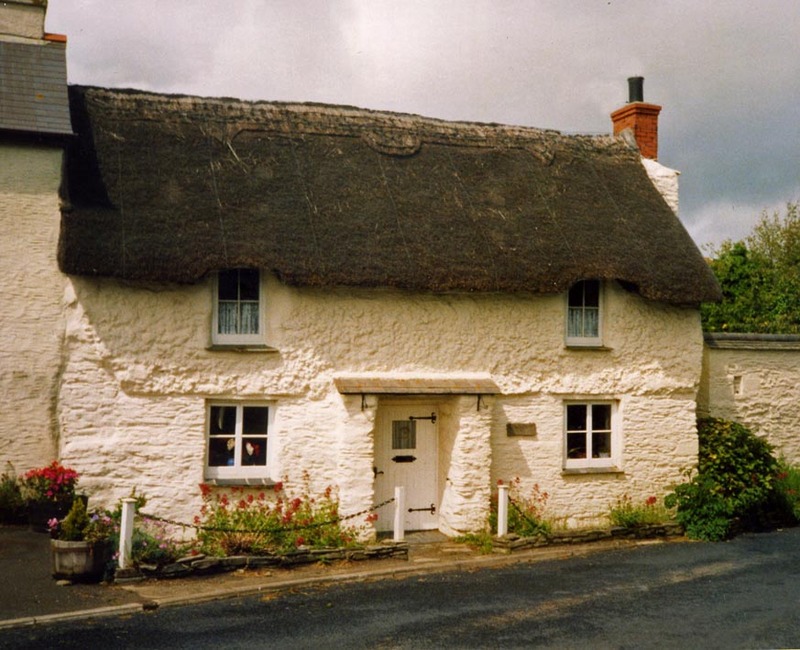 Trevithick’s Cottage… At Higher Penponds. 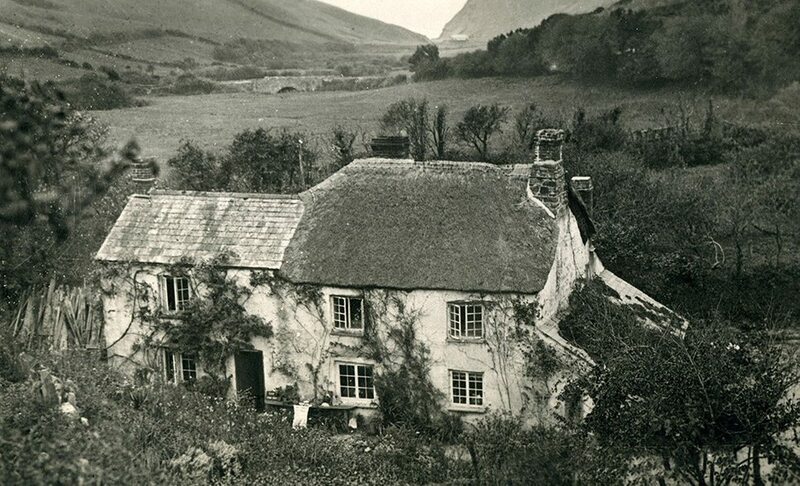 Our man lived here for a greater part of his early life; from the 1770’s onward. His former home is now in the care of The National Trust. 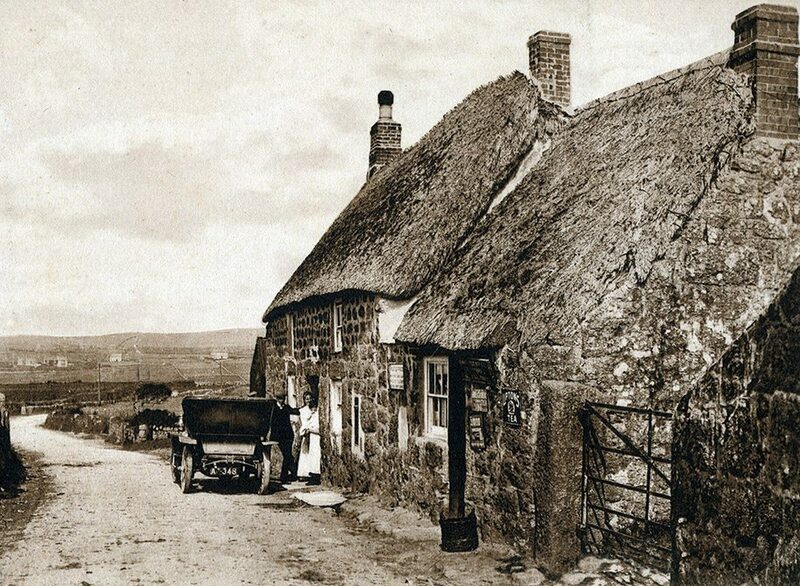 Fitzsimmons’ Cottage… Lies in one of Helston’s many narrow streets. 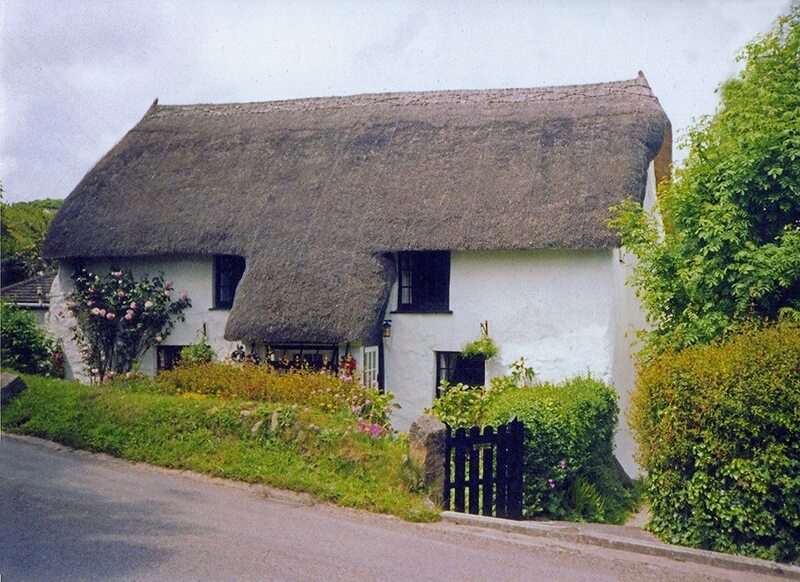 And is not the only thatch in this attractive Cornish town.